In which Wolverine gets punched out by an 11-year-old girl. And that pretty much sums up how fun this Runaways storyline is. Issue #12 concludes a four-parter that brought the West Coast teens to New York City. Cloak & Dagger, Marvel’s original teenage runaways, need help. Cloak has been framed for attacking and hospitalizing Dagger, and the Avengers (I mean New Avengers) are after him for questioning. The Runaways (though they don’t actually call themselves that) pursue the actual assailant in a new-to-them setting. Here, the Marvel Universe serves as a playground for the reader, but the book never neglects its main characters. Writer Brian K. Vaughan continues to deepen and flesh out each character while teasing future plots, building something new within an existing framework. He already did the hardest part by successfully introducing an entirely new cast of characters into the MU and getting readers interested. By this point, creative momentum is working in the book’s favor. And it’s a joy to read. This entry was posted in comic books, Today's Super Comic and tagged Adrian Alphona, Avengers, Brian K. Vaughan, Cloak & Dagger, Marvel, New Avengers, Runaways, Wolverine on March 31, 2017 by drsherrier. Flexibility with continuity can be a good thing when done right, especially when characters are appearing in stories over the course of multiple decades. What made sense in the 1960s may not make as much sense by late 1990s, such as a sovereign monarch choosing to join an American superhero team. So back in Captain America #100, Cap was so impressed by the Panther that he invited him to join the Avengers. T’Challa accepted, and thus began the Wakandan king’s American adventures. 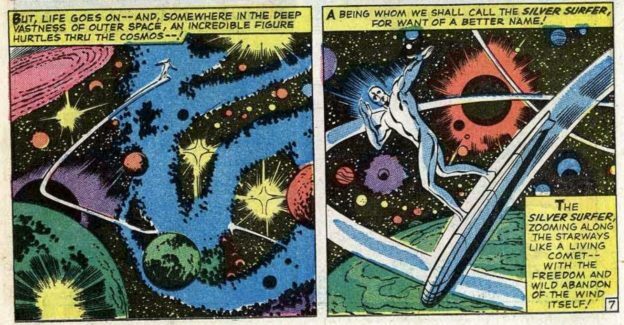 In the fast-paced, make-it-up-as-you-go style of 1960s Marvel Comics…sure, why not? But in 1999’s Black Panther #8, writer Christopher Priest considers that moment with the benefit of hindsight and takes a more modern approach. The Avengers were relatively new at the time—an autonomous, unsupervised, unregulated group of powerful individuals claiming to have everyone’s best interests in mind. But Wakanda already had a history of unwanted and destructive foreign interference, so how could T’Challa be certain the Avengers wouldn’t pose a threat to his nation? And here he had an opportunity to infiltrate their ranks and take their measure firsthand. Thus, he joined the Avengers thinking first and foremost of his nation’s security. Sometimes, retroactive tweaks to continuity (retcons) wind up convoluting the backstory or muddying things up, but this is an example of a retcon that enriches and deepens what came before while creating tension for present stories. The revelation is true to the character and therefore credible. Exactly how to do it right. This entry was posted in comic books, Today's Super Comic and tagged Amanda Connor, Avengers, Black Panther, Captain America, Christopher Priest, Joe Jusko, Marvel on March 20, 2017 by drsherrier. This was an interesting way to tie into the Civil War II crossover. The larger storyline centers on a debate about using precognitive powers to prevent crime and disasters before they happen. All-New, All-Different Avengers #13 spins that off into a time-travel tangent. The issue stars only one Avenger, the Vision, and the script reads like it could’ve been part of his solo series, putting us firmly in the artificial man’s logical brain as he works through a moral conundrum. One of the Avengers’ greatest enemies, Kang, comes from the future. Whenever he strikes, he has the advantage of history on his side, thereby imperiling not only the Avengers, but also the entire world and future generations. So, Vision wonders, why not use time-travel against the time-traveler? Why not locate Kang as a baby and remove a tyrant from history? What’s one innocent life vs. millions? The dilemma isn’t original by any means, but it’s a reliable one and it suits the Vision’s character. And it’s not resolved in this issue, so I’ll be curious to see how it plays out. This entry was posted in comic books, Today's Super Comic and tagged Adam Kubert, All-New All-Different Avengers, Avengers, Civil War II, Kang, Mark Waid, Marvel, Vision on February 15, 2017 by drsherrier. This was a fun idea for a time-traveling team book. In Avengers Forever, it’s not just an Avengers team traveling through time—it’s an Avengers team with representation from different eras, past, present, and future. A multi-temporal lineup. And it’s an interesting lineup: Captain America at his most disillusioned, the present-day Wasp to provide leadership, an unhinged and untrustworthy Yellowjacket, a past Hawkeye from right after a classic story, and others. The plot involves ones of the Avengers’ most prominent enemies, Kang the Conqueror (also a time-traveler, naturally), as well as Rick Jones, professional supporting character. Rick was around when the Avengers first formed, and he’s participated in several key moments in Marvel history, so he’s well utilized in a book that delves into large chunks of Avengers continuity. The interactions between time-displaced Avengers make the book an entertaining read, but this isn’t a series for anyone new to comics. Given the density of continuity references at times, the book works much better for already-established fans. And I, as an already-established fan, enjoyed it tremendously. All together, it’s an impressive feat from writers Kurt Busiek and Roger Stern (plotting it out must have been taken, well, forever), and artist Carlos Pacheco is in top form with his reliably dynamic pencilwork. This entry was posted in comic books, Today's Super Comic and tagged Avengers, Carlos Pacheco, Kang, Kurt Busiek, Marvel, Rick Jones, Roger Stern on February 1, 2017 by drsherrier.